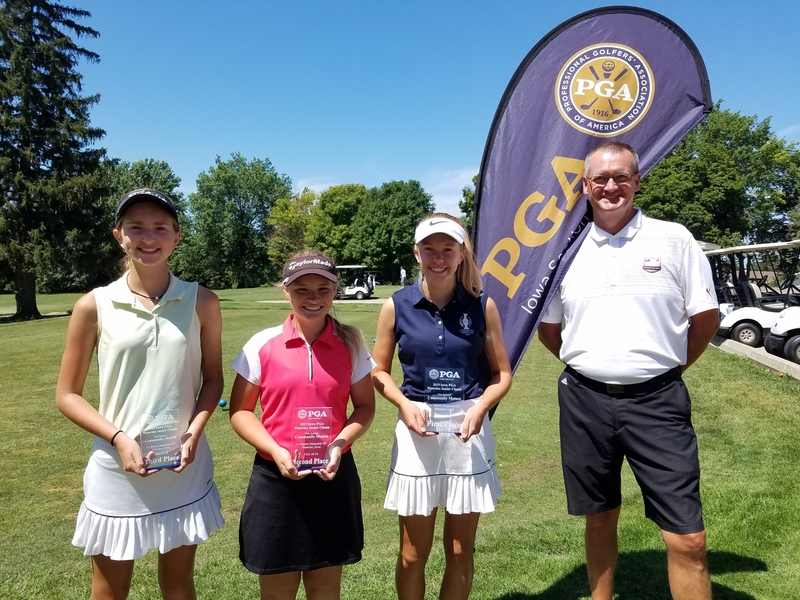 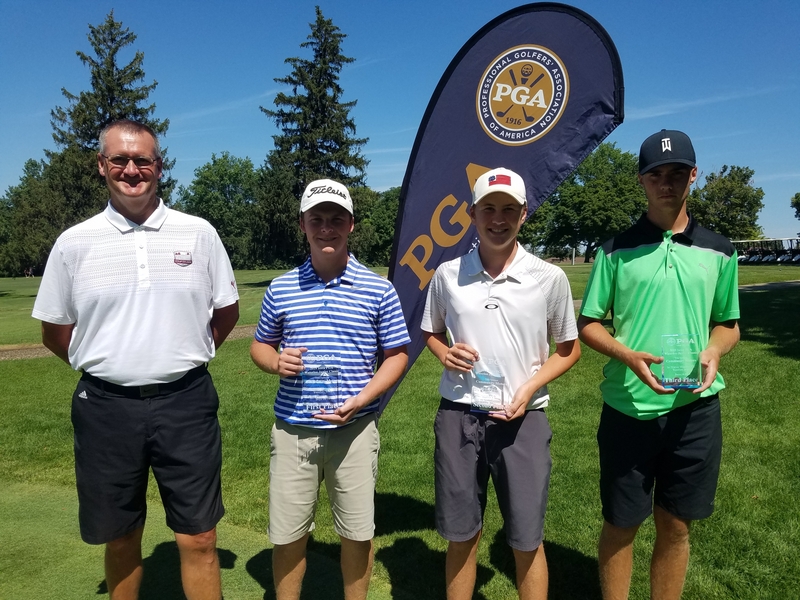 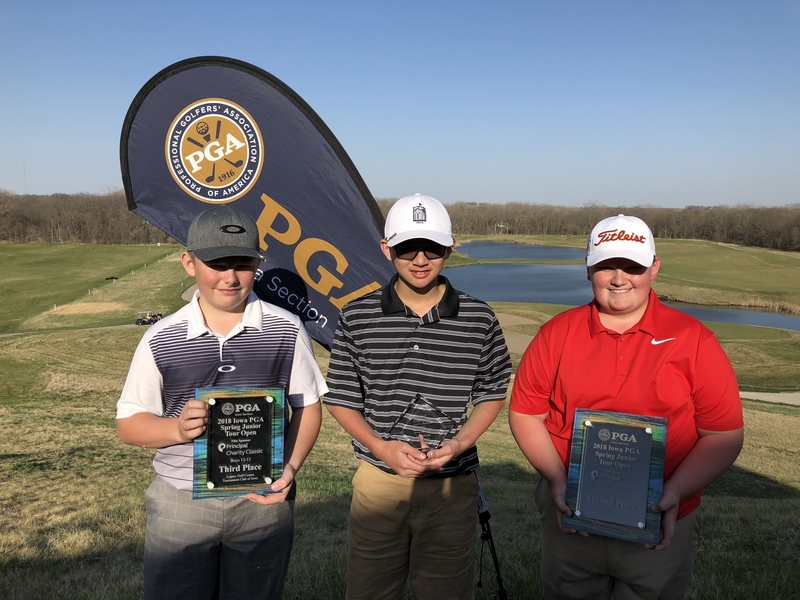 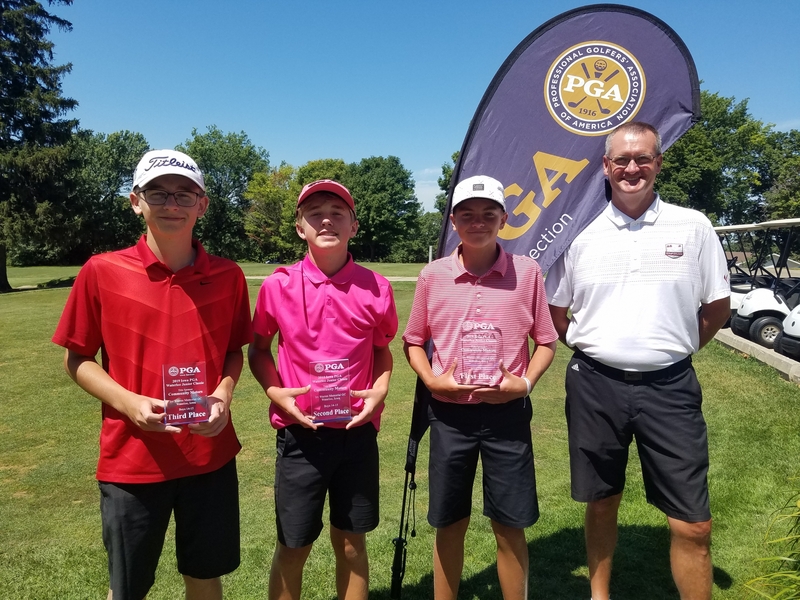 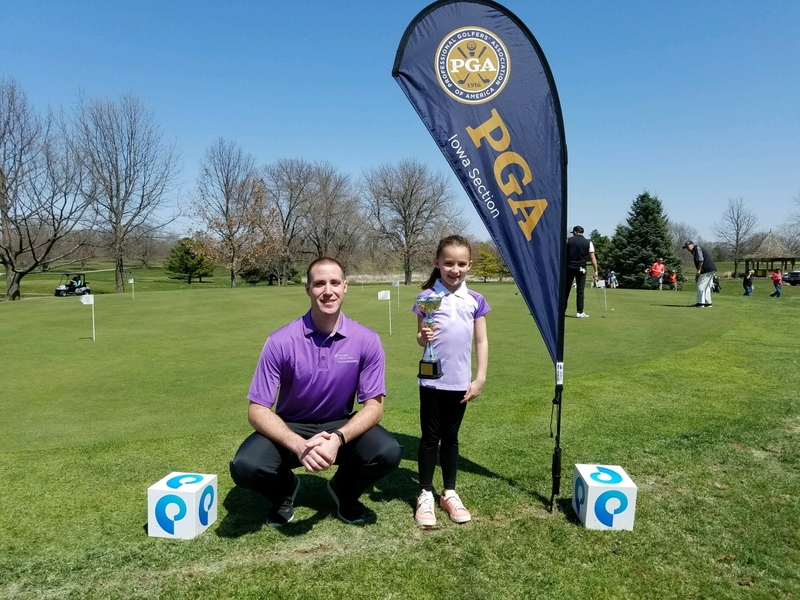 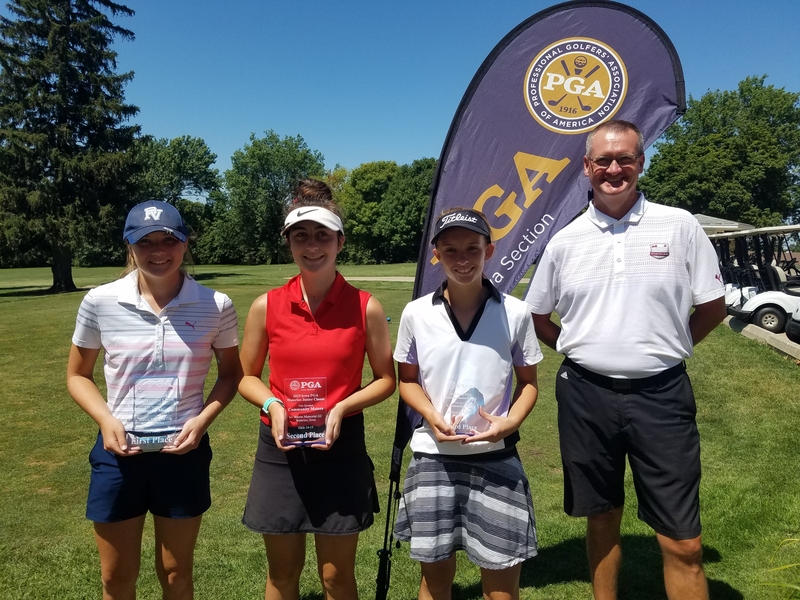 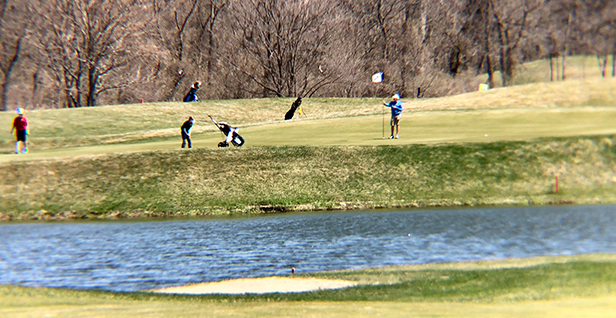 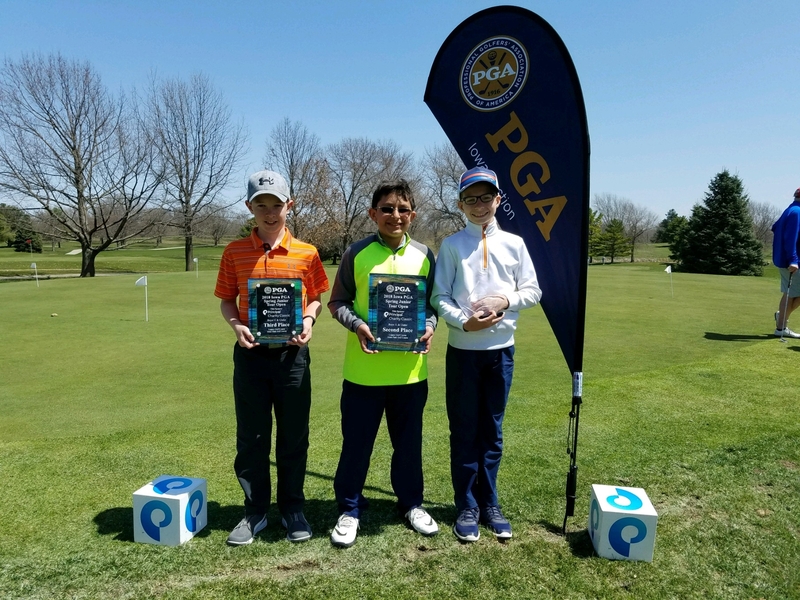 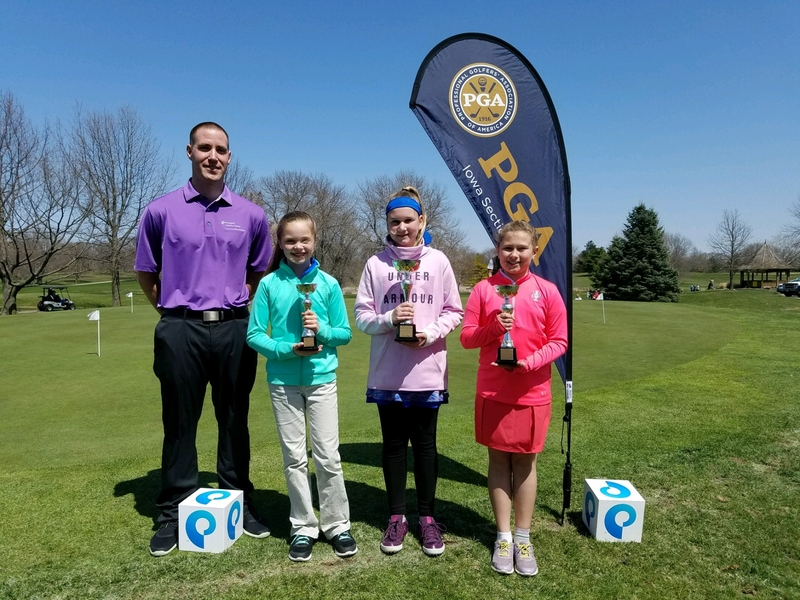 GGThe Iowa PGA Spring Junior and Pee Wee Open presented by Principal Charity Classic was hosted by The Legacy Golf Club, the Tournament Club of Iowa and Jester Park Golf Course on Saturday and Sunday April 28-29. 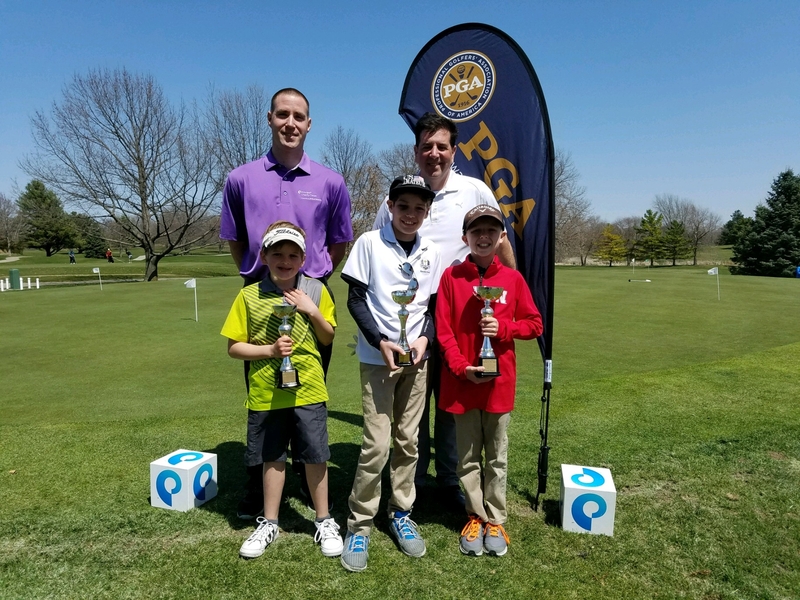 This was the first MAJOR event of the season and second of four Spring Series tournaments. 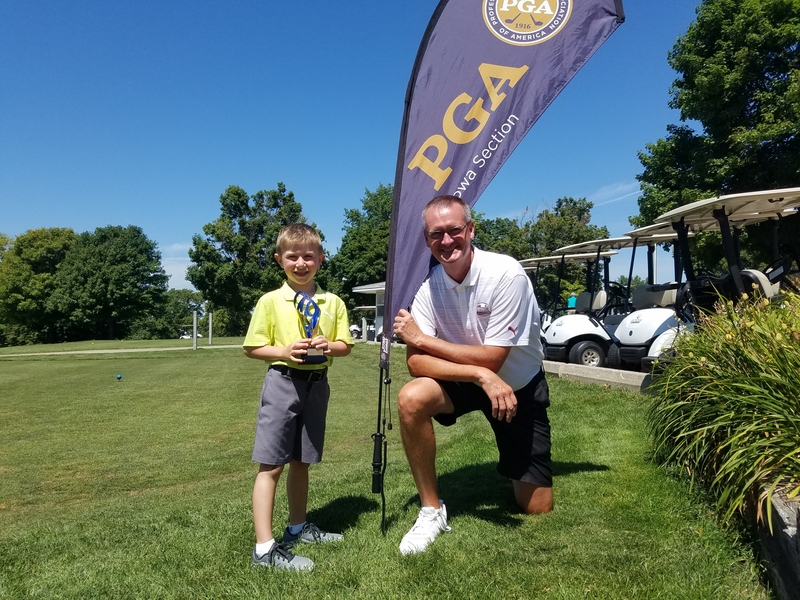 The event featured 50 Juniors and over 20 Pee Wee participants. 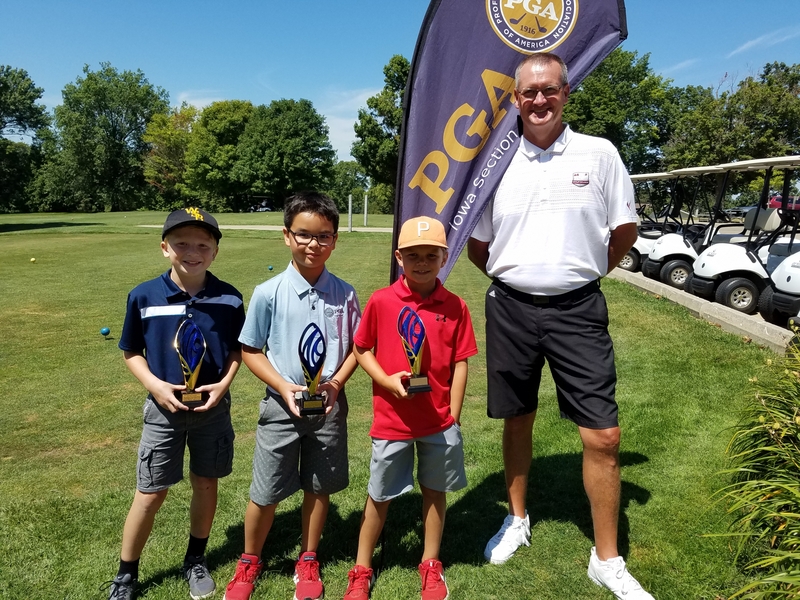 Special thanks to Trevis Manning and Rob Randall, PGA of The Legacy GC, Jim Webb, PGA and Eddie Dennis, PGA of Tournament Club of Iowa and for Jeff Chiodo, PGA of Jester Park GC their support in hosting. 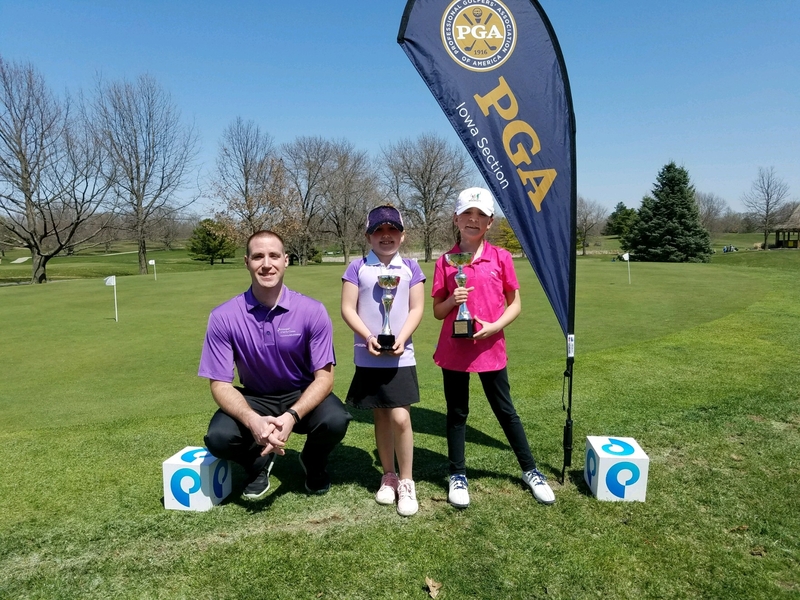 Special thanks to The Principal Charity Classic for sponsoring this event and for being our 2018 title sponsor for the 9th consecutive year! 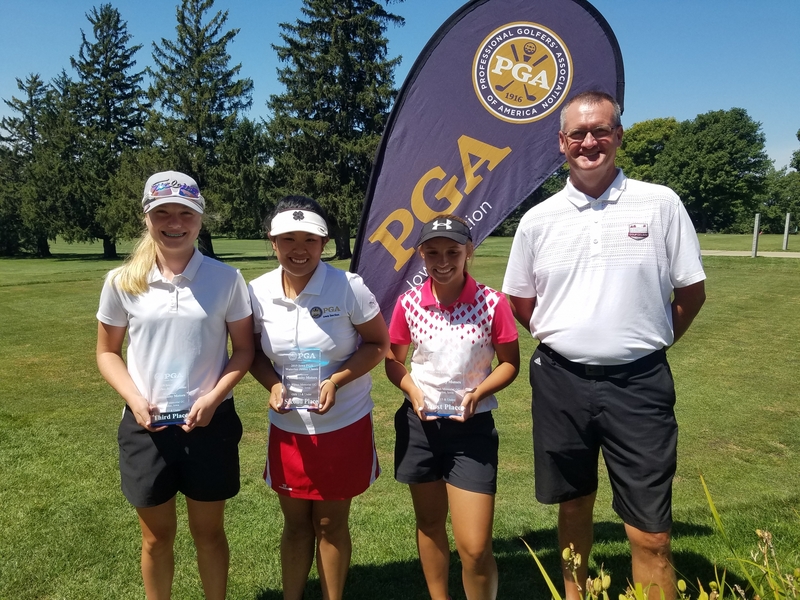 Also a big thanks to our 2018 supporting sponsors: Bushnell Golf, Bolle, Shattuck St. Mary’s and Bug Soother.